Southampton, NY – The local Dryer Vent Cleaning Wizard works to eliminate a number of dryer related hazards including dryer fires and mildew damage in homes. Dryer vent cleaning also prevents a number of health hazards including mold related illness and carbon monoxide poisoning. In addition, dryer vent cleaning can reduce energy bills by over $300 per year. .
John Ryley owns Dryer Vent Wizard, serving consumers and businesses in Queens, Manhattan, Brooklyn and neighboring cities and communities. In addition to dryer vent cleaning, repair and installation, John also works to promote public awareness on dryer fire prevention and energy savings through dryer vent maintenance. Dryer Vent Wizard (https://www.facebook.com/dryerventwizardsuffolk) will perform a complete dryer vent inspection to reveal and correct any problems that can lead to hazardous conditions. Dryer vent cleaning and service by the Wizard will ensure dryer safety and efficiency. Enjoy peace of mind by scheduling dryer vent service regularly. Another benefit to having regularly scheduled dryer vent cleaning service is that it extends the life of the clothes dryer and helps prevent expensive repair bills. Dryer vent cleaning promotes maximum dryer performance by improving air flow required to release heat and moisture from tumbling laundry. 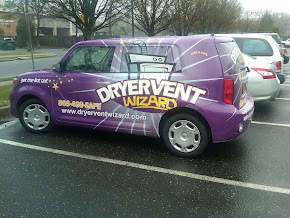 Dryer Vent Wizard specializes in all dryer vent services to ensure clothes dryers operate safely and efficiently. 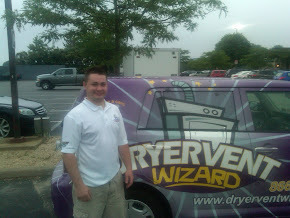 Every dryer needs a Wizard and John Ryley serves residents and business owners who use clothes dryers. Visit http://www.dryerventwizard.com to learn more. Southampton NY – The Southampton Dryer Vent Cleaning Wizard provides an important service while educating customers about home and health hazards associated with poorly vented clothes dryers. The most common cause of dryer fires is a clogged or damaged dryer vent system. Over 17,000 dryer fires occur annually and dryer vent cleaning is the best way to prevent them and improve dryer performance and efficiency. The clothes dryer is the most likely appliance to cause a fire and the dryer vent is the most often overlooked fire hazard in the home. John Ryley, owner of Dryer Vent Wizard, says many dryer vent systems are out of code and need to be replaced as they actually contribute to the danger. The old soft hoses made of plastic or vinyl can catch fire or crack and allow heated, moist air to vent into the house rather than outside. The accordion shape of these older dryer vent hoses adds to the problem as it gives lint a place to begin building up to what could be a devastating clog. New dryer vent installation by the Wizard will ensure the system is working safely and efficiently. Dryer Vent Wizard (http://www.dryerventwizard.com) only installs metal dryer vent systems that meet current safety standards. This material is smooth inside and helps prevent dangerous lint build up. The dryer vent technician can update the current home system so it meets the standard of local codes and home insurance providers. In most homes the dryer vent hose allows the heated air to be expelled outdoors. A qualified dryer vent service technician will provide a complete inspection and make necessary corrections to promote maximum air flow. He will do a complete cleaning, from inside the dryer to the vent cap outside. The Wizard will make sure the system is venting properly so that no humid air comes into the laundry room where it can cause a breeding place for mold and bacteria affecting the health of both family and pets. Some home insurers require the homeowner to have regular scheduled inspection of the dryer vent system in order to be insured. They know the danger of improper dryer vent maintenance and the potential problem can be promptly fixed with a call to a local dryer vent service technician. Dryer Vent Wizard specializes in dryer vent cleaning, repair and new dryer vent installation in homes and businesses. 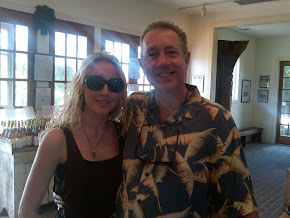 John Ryley serves Suffolk County, Huntington, Southampton, Manorville and neighboring cities and communities. 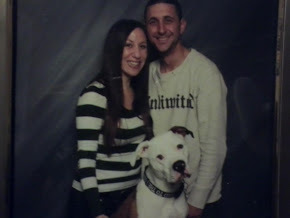 Visit http://www.dryerventcleaningsouthamptonny.com/ to learn more. Dryer Vent Cleaning Southampton: Dryer vent cleaning can be considered a matter of life and death! Dryer vent cleaning can save consumers up to $300 per year on energy bills. Dryer vent cleaning is important for a number of reason, so what will it take to generate enough public awareness to reduce or eliminate dryer fires? Improperly maintained clothes dryer vents cause of over 15,000 house fires each year. Failure to clean dryer vents is the number one cause of clothes dryer fires. Professional dryer vent cleaning is recommended each year to prevent dryer fires and to keep your dryer working efficiently to save energy. When dryer exhaust vents become clogged with lint, they will overheat and cause a rapidly spreading fire. Another cause of dryer fires is drying rags soaked with flammable chemicals. These should be line dried, even if they have been washed, as residue can remain. The heat from the dryer can cause the materials to ignite inside your dryer. Clean the lint screen after every load to maintain air flow needed by your clothes dryer to work more efficiently, saving you money on utility bills and preventing a fire. Wash the lint screen periodically to remove residue build-up caused by dryer sheets. Do not place rags soaked in flammable substances in your dryer; these should be line dried. Do not store flammable chemicals near the dryer. Have a qualified dryer exhaust specialist clean your dryer vent system at least once a year, more often if you have a large family and are doing over 8 loads of laundry per week. Following these tips will ensure your clothes dryer is working more efficiently reduce your energy costs and help to prevent a fire. Proper appliance maintenance will also increase the life of your appliance and reduce the need for repairs. The Purple Monster Eats Dryer Lint!